A friend of mine gave me a couple of weeks ago some quilting books. 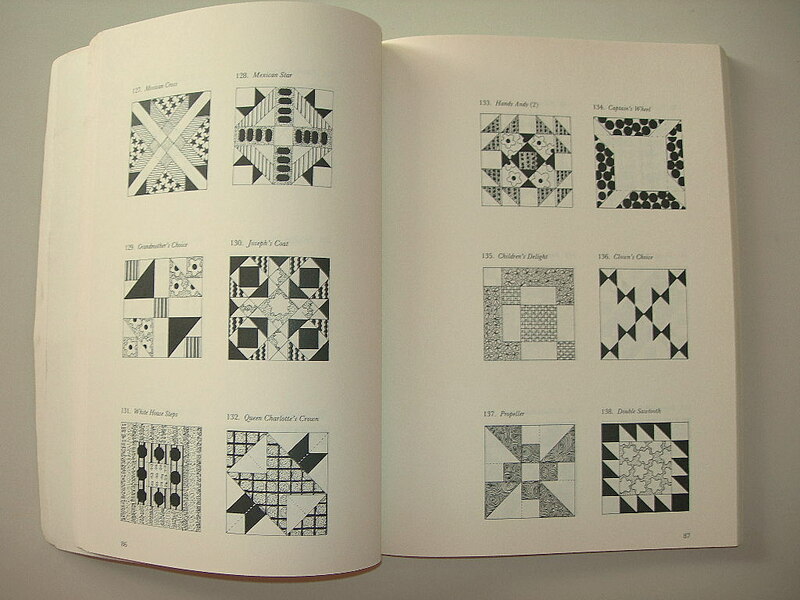 I’ve looked through them and thought how much has changed in patchwork and quilting over the last 40 years . 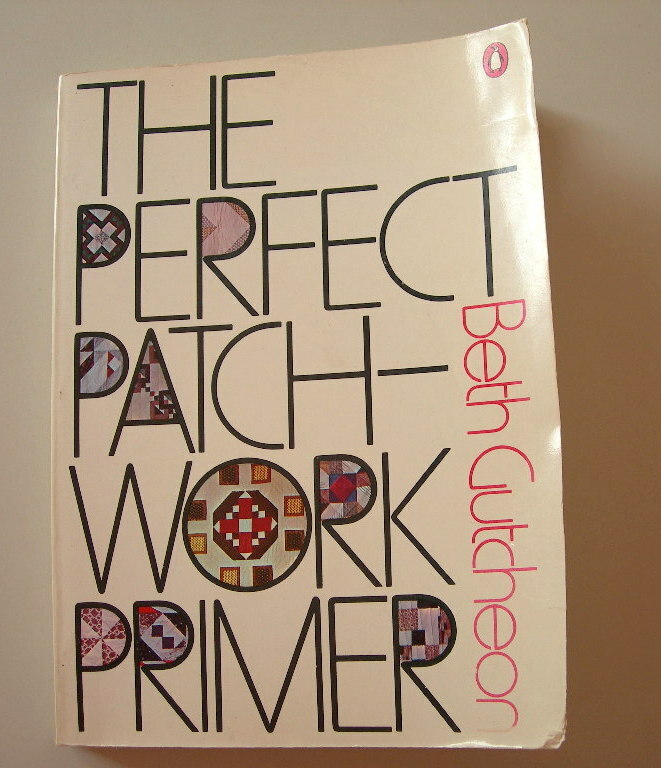 My favourite one is “The Perfect Patchwork Primer” by Beth Gutcheon. It was first published in 1973. The issue is in black and white, includes a few photos and many block illustrations, designs or quilt assembly instructions. 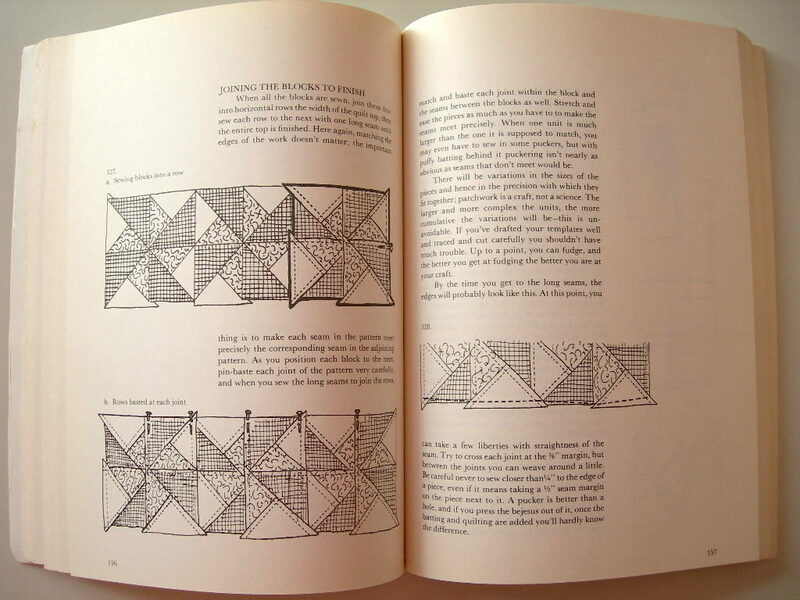 The author is a devotee of hand quilting. 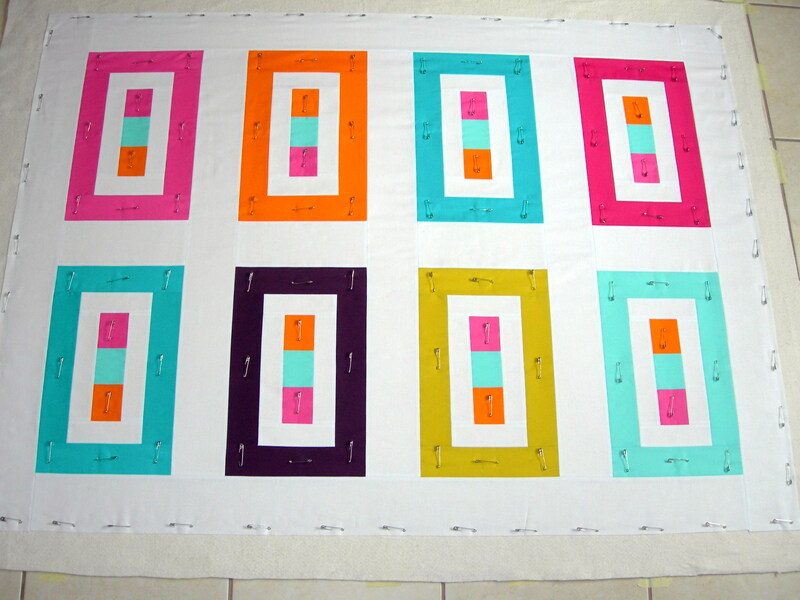 Machine piecing is OK, but machine or free-motion quilting is unthinkable. The other thing that surprised me, is that in those days there were no cutting mats, cutters or rulers. Only “home-made” templates were available and for cutting there were just scissors. Today we are very spoilt with all our sophisticated tools and various helpers. # One : From next week on I shall give classes in machine piecing and quilting. So last week I sew an easy sampler quilt top for beginners. 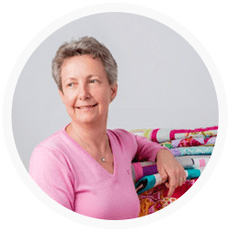 At the same time I made tutorials about basic cutting and piecing of square and triangle units, blocks with flying geese units as well as sashing and borders, quilting and binding. I enjoyed preparing all information and I am looking forward to start with the classes!!! # Two : While working on the computer I got an idea for a new quilt. A simple design with all the solids I love. It is based on the ideal proportion of the sides of a rectangle : golden ratio. As the top has also a “golden” solid fabric I named it Golden Ratio . Changed my mind, the name is Floating Colors This one shall be quilted in straight lines in vertical and horizontal. The goal for next week (but more probably weekend) is to finish the quilt. This entry was posted in patchwork, quilts, tutorials and tagged books, tutorial.